ALL of our products are FREE from gluten, wheat, peanuts, tree nuts, dairy/casein, soy, egg, sesame, fish, mustard, shellfish, & crustaceans. 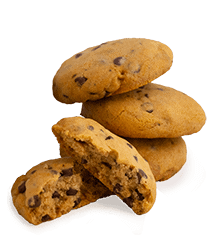 Our products are hand made/produced on dedicated lines in our dedicated facility so there is NO chance for cross contamination. 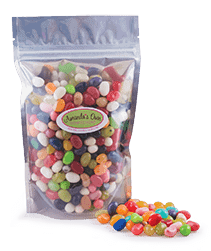 Our products are Vegan, except our Marshmallow Clusters and Jelly Beans, which are produced on their own equipment. We want children, teens and adults with food allergies to have fun, safe and delicious treats for the holidays and all year round! 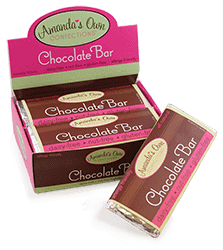 We developed our all natural chocolate as a result of our daughter Amanda’s life-threatening food allergy to dairy and egg products. We did not want her to miss out on all the chocolate holiday treats, or the everyday events that include chocolate like baking cookies. 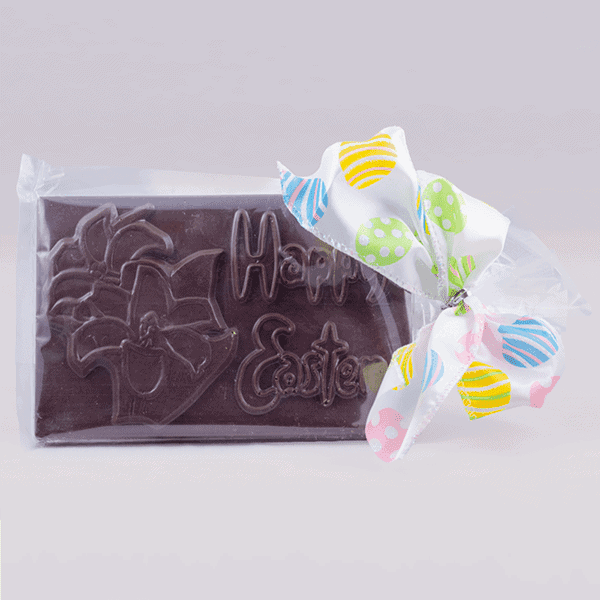 We started making chocolate that is totally free of the top 14 food allergens and Amanda loved it! 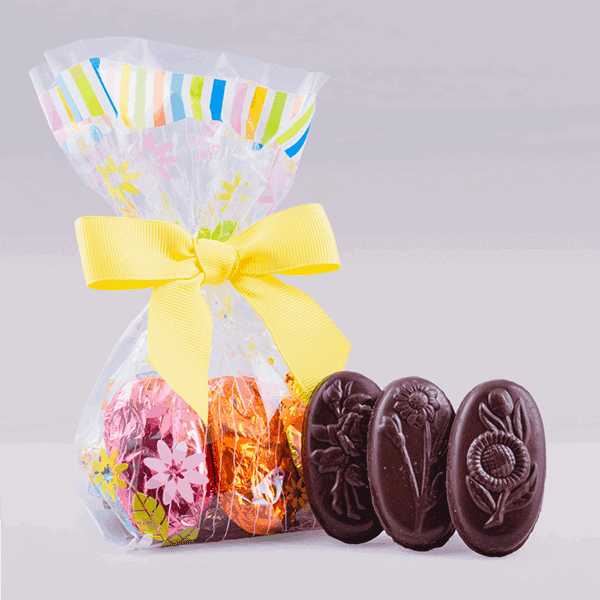 We shared our chocolate with friends who have children with food allergies and the response to the great taste and safe ingredients was overwhelmingly positive, so we decided to offer these treats to everyone. The purity of Amanda’s Own dairy-free, nut-free, peanut-free, gluten-free, wheat-free, soy-free, egg-free, corn-free, sesame-free, mustard-free, shellfish-free, crustacean-free, sulfites-free and lupin-free is of the greatest importance to us, as the safety of our child and yours depends on it. He’s back and bigger than ever, a full 8 inches tall! 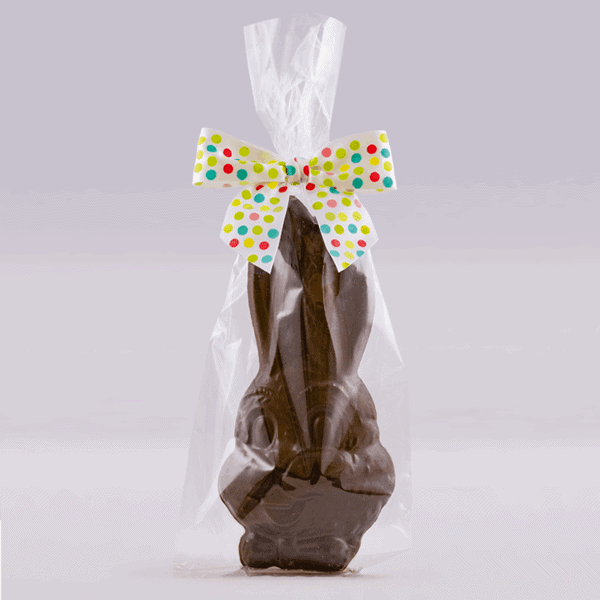 Our Sitting Bunny (flat on the back) is a whopping 1/2 pound of our delicious chocolate. 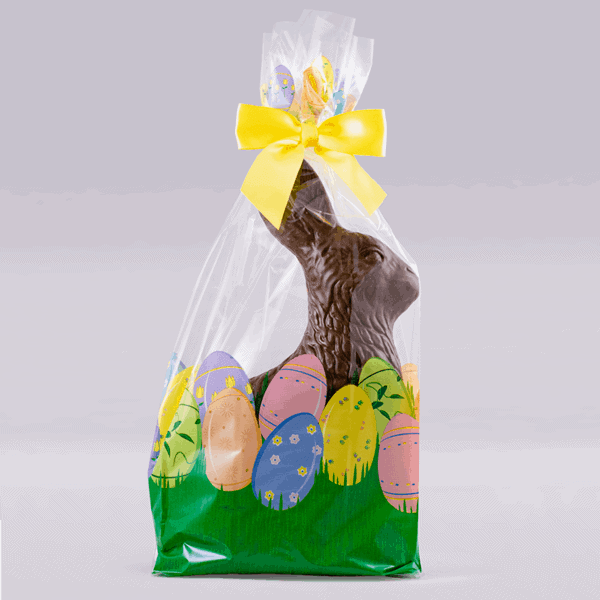 He will arrive in this pretty Easter themed bag with a pretty yellow ribbon. The perfect centerpiece for any Easter basket. 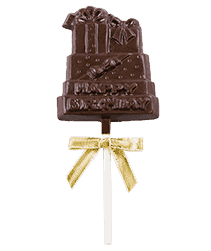 Net Weight: 8 oz. 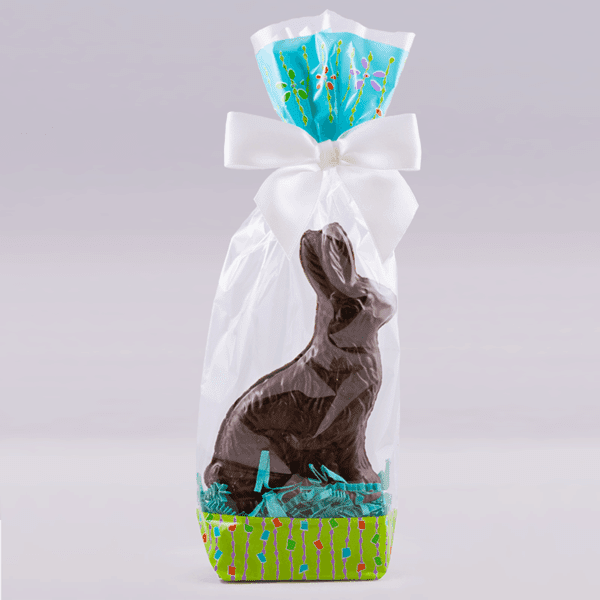 This 5 inch tall solid chocolate bashful bunny is ready to be the star of your Easter basket (flat on the back). 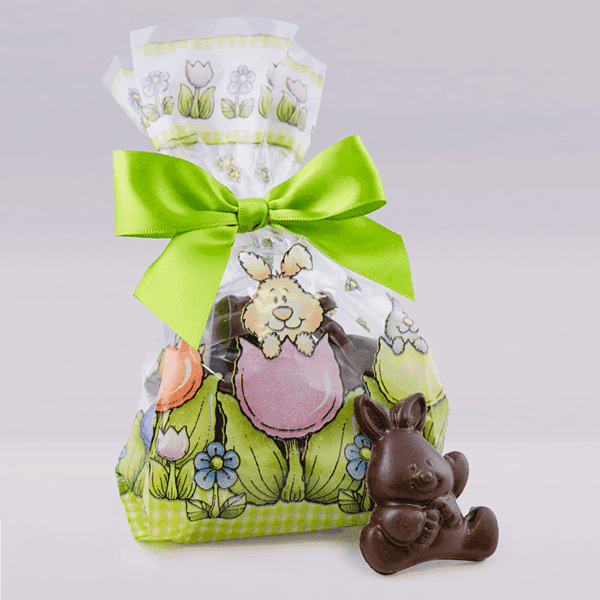 He’s sitting in this cute Easter themed bag with a pretty green bow. Net Weight 3.5 oz. 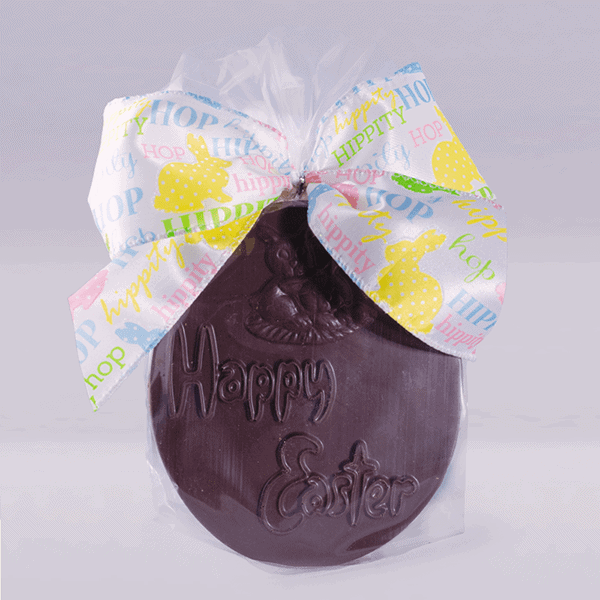 Our littlest 2″ bunny is ready to sit in your Easter basket. Net Weight 2 oz. 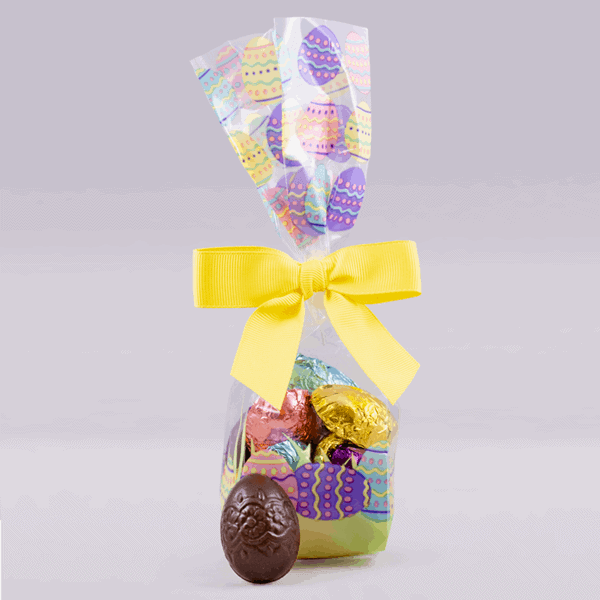 This beautiful Easter egg themed bag is filled with 11 foil wrapped egg-shaped chocolates (flat on the backs). These safe and tasty “eggs” are just what any Easter basket needs to make it complete. Net Weight 4.0 oz. 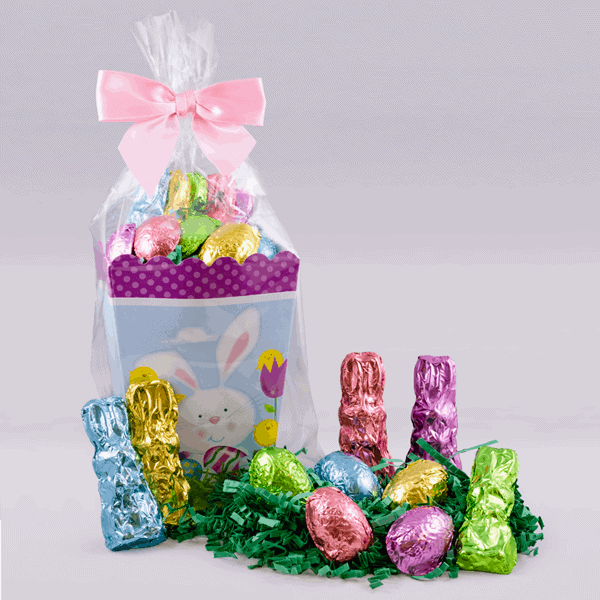 This cute box is filled with 12 foil-wrapped bunny shaped chocolates nestled in green Easter grass. The Easter Bunny is going to LOVE putting this in your Easter basket. Net Weight 5 oz. 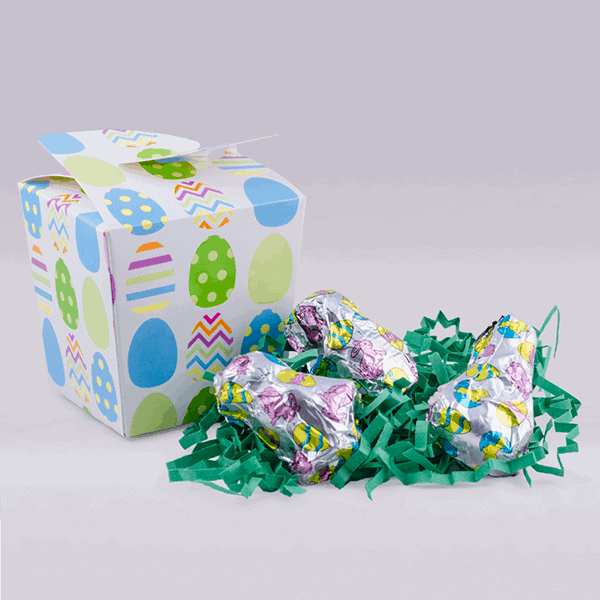 This cute little box contains 5 foil wrapped bunny shaped chocolates and 5 foil wrapped egg shaped chocolates – both are flat on the back. The perfect little box for any Easter basket. Net Weight 3.5 oz. 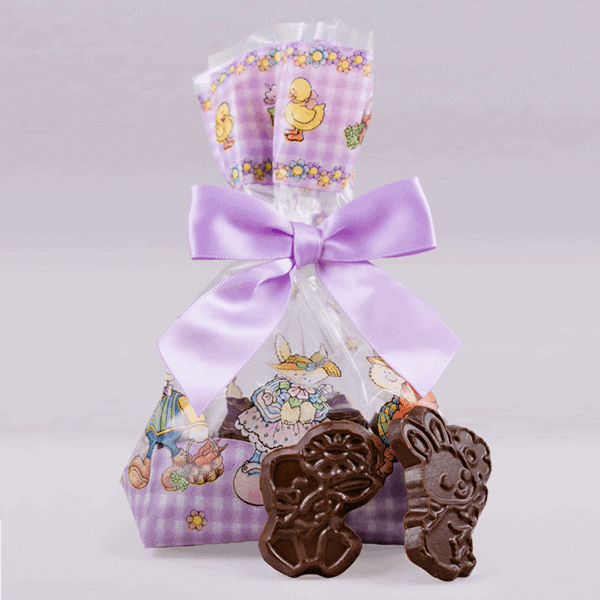 This cute little bunny and friends bag contains 9 chocolate bunnies holding a carrot. Net Weight: 5 oz. 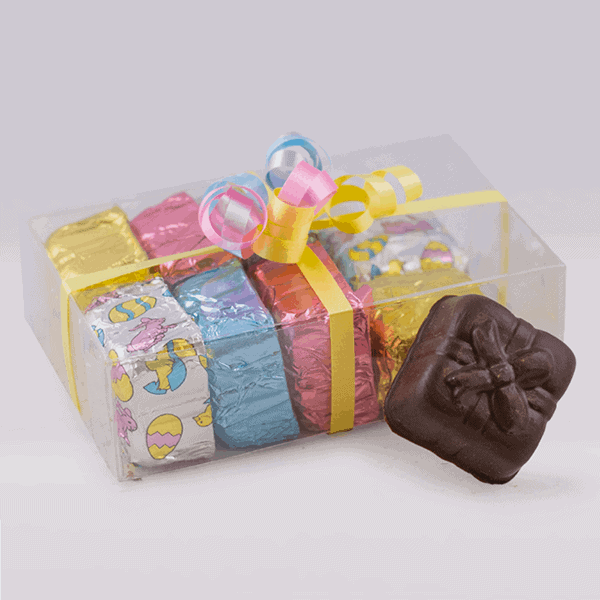 Our adorable box is printed with colorful Easter eggs, which will look great in your Easter basket. 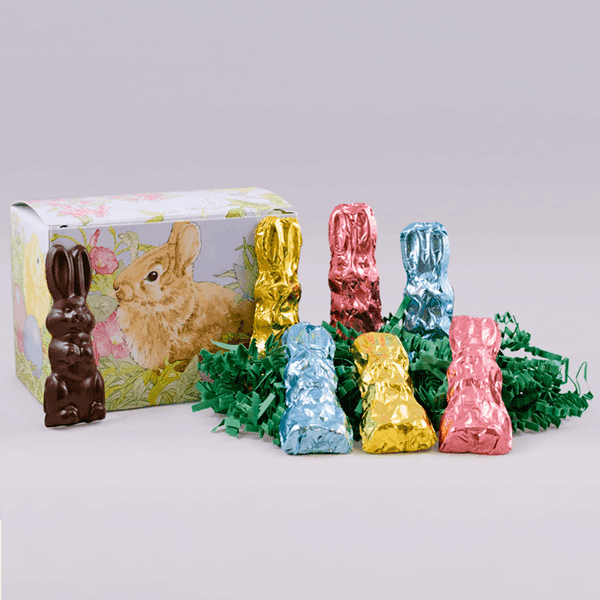 This box contains 8 foil (Easter-themed) wrapped chocolates, shaped as bunnies, chicks and ducks all nestled in green Easter grass. Net Weight 3 oz. This clear box contains 8 foil wrapped present-shaped chocolates. It looks like Spring in a box! Net Weight 4.25 oz. 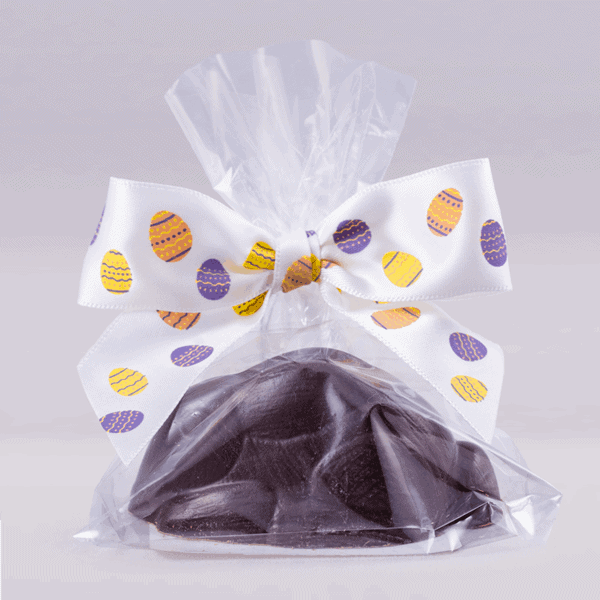 This clear bag contains 2 different chocolate ovals depicting Easter bunnies and chicks. Scenes may vary. Net Weight 2 oz. 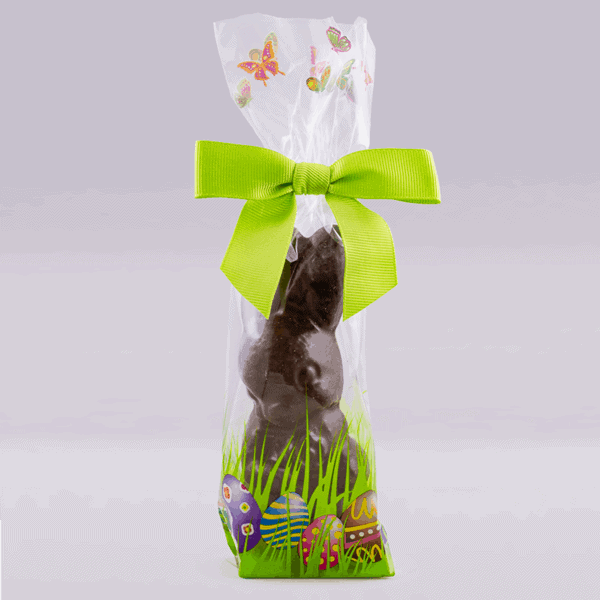 This beautiful solid chocolate medallion pictures two adorable bunnies nestled in Easter grass waiting for Easter morning. 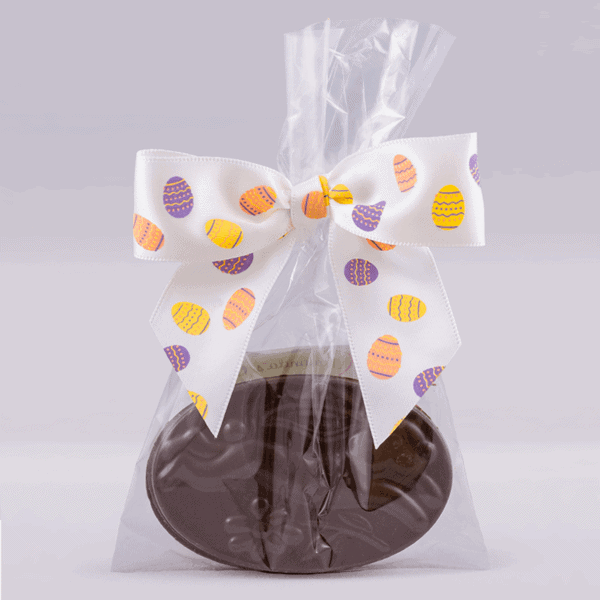 The medallion is packaged in a clear cello bag with a pretty Easter themed ribbon. Net Weight 7 oz.